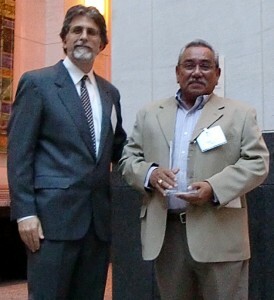 At a May 4, 2011 ceremony in Washington, D.C., EJC Board Member Roman Ramos received the highest national honor from Farmworker Justice (FJ), the leading national advocacy orga­nization for migrant farm workers. 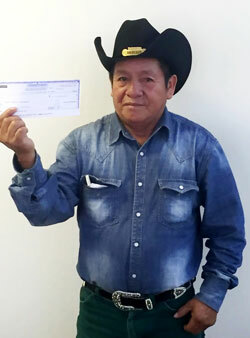 In presenting Ramos with the Shelly Davis Memorial Award, FJ cited Ra­mos’ personal journey: from his origins as a migrant farm worker himself to his nearly 40-year career as one of the most highly respected grassroots ad­vocates for the legal rights of agricul­tural workers in the U.S. and Mexico. 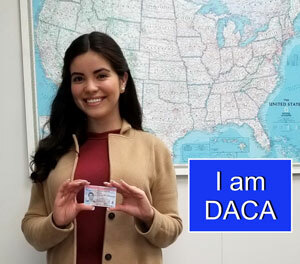 Among other distinctions, Ramos has long been recognized as this nation’s leading pioneer in securing access to justice for Mexican migrants and guest workers, who are so often ex­ploited while working in the U.S. Since 1978, Ramos has served as a paralegal worker justice advocate with Texas RioGrande Legal Aid, based in TRLA’s Laredo office. However, throughout these decades he has also partnered with countless migrant worker justice groups throughout the U.S. and Mexico to investigate cases of abusive treatment, to help workers enforce their legal rights, and to reach out to workers across their migration routes from cities and villages in Mexico to urban centers and remote rural areas throughout the United States. As a founding board member of the Equal Justice Center, Roman has been a vital advisor and contributor to the EJC’s worker justice mission from the very start. Whether compiling evidence needed for a trial, empowering migrant workers, or training attorneys and paralegals — Roman Ramos has proven to be one of the greatest worker advocates of his generation. The Equal Justice Center, along with Ro­man’s many colleagues and admirers across the country, salute him for the work that has brought him this well-deserved honor.